Whenever you apply for a position in any firm or organization right from a low-lying position to that of a CEO an inevitable necessity is a RESUME. It is basically a written compilation that provides a summary of your skills, education qualifications, knowledge, work experience abilities, accomplishments and credentials for that particular job. Now, there are various formats of writing a resume, there are various components too. Your CV reaches the interviewing desk before you, so it must be effective. It shall lay the foundation of your first impression! Now, if you are still unaware of the types of resume and have not got the slightest idea about what should be your ideal Curriculum Vitae (CV). Don't worry, there are many online platforms that can come to your aid and can help you make a perfect resume that suits your qualifications. 1. Cvmkr: - The site provides one with a super-simple interface for creating perfect resumes. These can be built in any language and can be downloaded as PDF, HTML or txt formats. This website also hosts your CVs and shares it with the world, so that you can be reviewed by companies all over the world. One can create professional, beautiful resumes in minutes. 2. 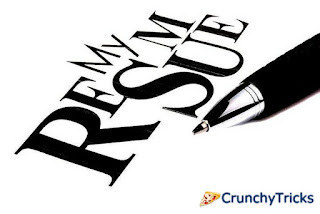 MyPerfectResume: - This website takes the best out of resume writing. It just provides some simple steps, follow them and get your perfect job-worthy resume. You can add and remove tiles and easily use suitable words in your CV. The site also provides some job-specific bullet points that can be personalized and added at a single click. 3. Resume Now: - One needs cover letters too and resume-now integrates both of them together on one single platform. The site is a storehouse of multiple formats and houses one-click designs. It contains many different templates, tips and various formatting styles that one can opt while writing a resume. 4. Resume Builder: - A step by step guidance that can help you easily create a resume, along with key phrase examples that create a compelling compilation of your skills. The site incorporates various layouts that help you to stand out other applicants. One can also publish their resume on-line and get their own custom URL for CV, allowing their contacts to know that they are looking for a job. You can also create multiple resumes here based on the skills you want to highlight and the organization you want to apply. 5. Resume: - If you have the right qualifications for a job but aren't aware of the right words to use then this is a platform built for you! Create a free Curriculum Vitae using Resume's builder platform, manage and edit it easily whenever you want and publish multiple versions of your resume blending with different job prospectus. The motto of this website is “Create! Post! Share! Resume in minutes”. 6. Resume Genius: - Running low on time? Want a fast yet efficient and decent resume? then this awesome platform can be your ultimate choice. It creates professional, creative resumes in a time as less as 15 minutes! It is fast, easy to use and professional. This is a well-established website existing in the resume building field since 2009 and till date, they have helped around 9 million users to build their perfect CVs. 7. Live Career: - One of the fastest, most efficient and effective way to create a glorious resume. This website features thousands of templates and professional designs for all kinds of jobs and industries. This also houses many sample phrases created by experts, professional writing tips and advice for job-seekers to build a perfect resume. 8. Resumizer: - While most other websites require users to login to create a resume, resumizer is simple and doesn't demand any membership. No cost, no need for joining, use the options you like and build a perfect one of your choice! The site furnishes many popular layouts and designs to choose from and gives the users flexibility with the font, text color and accent colors. One can easily preview their CVs through the site and get them printed, downloaded or sent almost instantaneously. You can also return to the site anytime edit and update your resumes. 9. Online CV Generator: - Confused about what to type in your resume? Visit on-line CV (Curriculum Vitae) Generator. Select your qualifications, the language, provide some of the required basics about you. Take out 5 minutes and create your professional resume! 10. Visual CV: - You are no more a beginner in your field, you are a serious professional. And need an elegant resume instantly? Then this is what you are in search of. Simply, choose a professional design, publish it as an on-line CV or download it as a PDF and finally send it and track your resume! Visual CV also acts a platform to come in proximity with multiple other users using this website. 11. Kick Resume: - With around 300k users, kick resume provides you with an easy-to-use resume builder platform. You just need to select your template, fill it and customize it accordingly and download it. The site remains free forever and allows one to create as many as they want! If you have certain doubts regarding your resume you can also contact the experts and chat with them. 12. Got Resume Builder: - Build a resume, learn how to write it, watch and understand that through the sample provided on the website and host your resume on-line for the review! One can download templates, format online, create content and manage multiple resumes online through this site. The site contains a rich selection of pre-defined sections of resumes. 13. Kininida: - Are you a fresher seeking a job? And have not got the least idea about how to build an elegant yet extremely impressive CV? Kininida is your baton of hope! A website created for beginners to let them learn and understand about what resume format actually suits their qualifications. The website can be easily accessed via phones and can be used to create a perfect professional one. 14. Udhyoga: - Making your resume gets no easier than this! Just four steps and you can seek your job with a professional CV. Select your current career level, select your design, enter your details and download your resume. Udhyoga.com also encompasses unlimited jobs and resources for your better career. 15. TPOIndia: - A quality CV is what any job application demands. Create a CV that is easy to read, highlights and effectively presents you strengths and abilities, that provides a positive wording and presents the employer with what he/she wishes, to win the trust of your employer. All these qualities are comprehended in a resume created at TPO India. Make it great and crack your desired job! So these were some of the best websites rolling around the web. Go through them and build your impression at the time of interview.